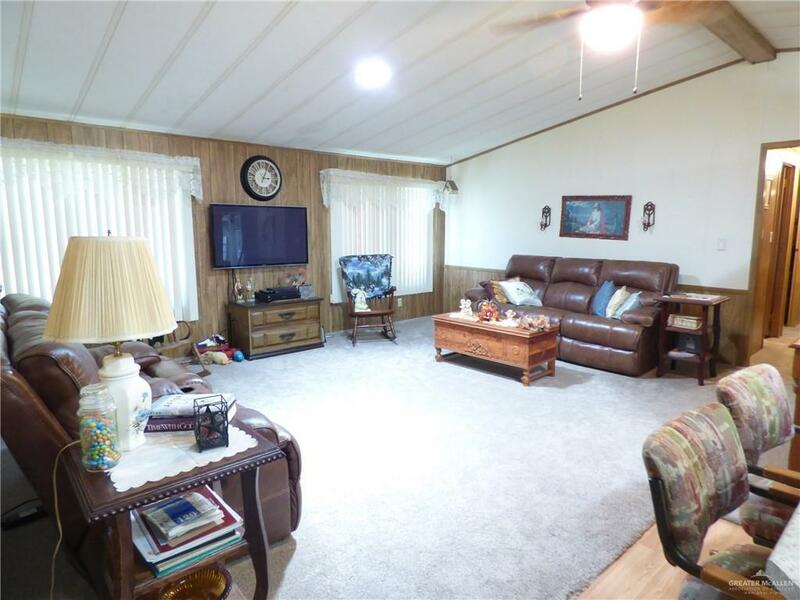 MODULAR HOME ON CORNER LOT WITH 3 BEDROOMS AND 2.5 BATHS LOCATED IN MISSION NEAR EXPRESSWAY IN A 55+ COMMUNITY. 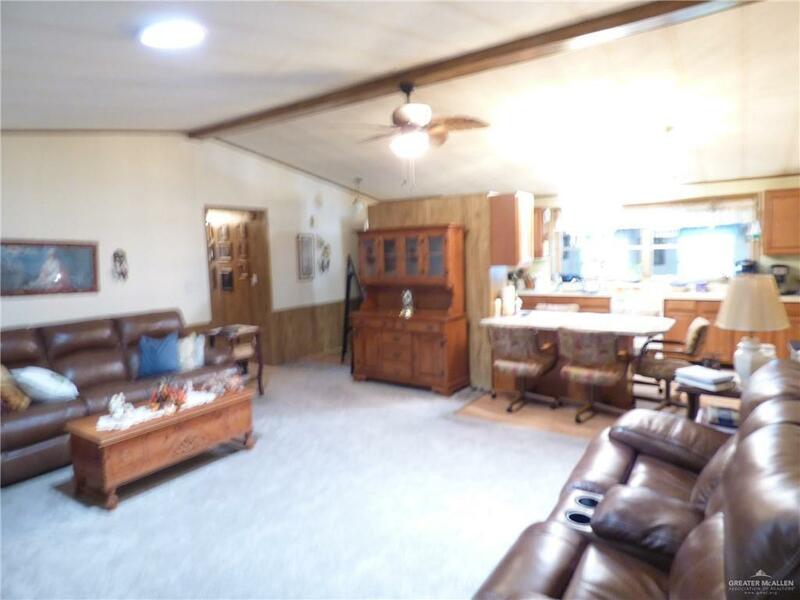 FEATURES INCLUDE A 29X10 TEXAS ROOM, EXTENDED LIVING SPACE 28X13 WITH HALF BATH WITH STORAGE CABINETS, OPEN KITCHEN WITH BAR AND WALK-IN PANTRY, CARPET AND LAMINATE FLOORING, SPLIT ROOMS, WALK-IN CLOSETS, STORAGE SHED, AND TWO DRIVEWAYS WITH COVERED CARPORTS. 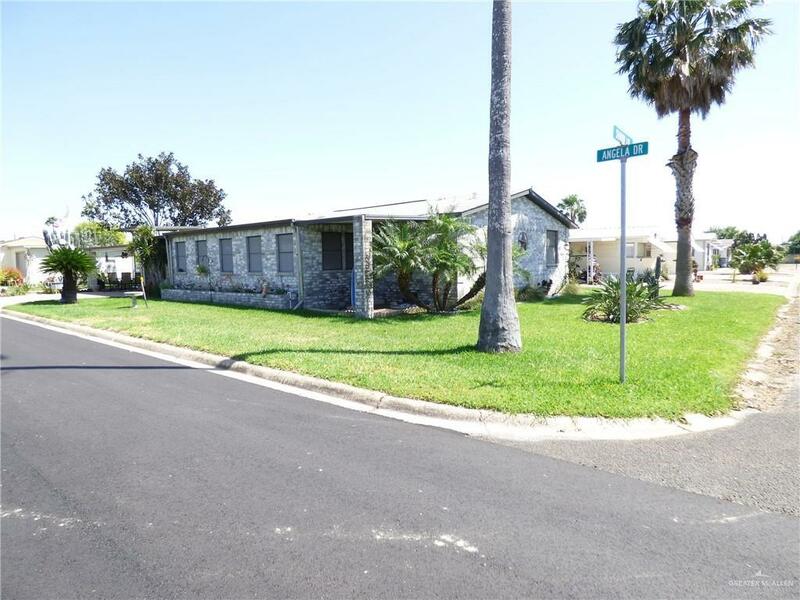 COMMUNITY BOAST A CLUB HOUSE WITH SWIMMING POOL, SHUFFLEBOARD, POOL HALL, GAME ROOM, SCHEDULED ACTIVITIES WHICH INCLUDES BUT IS NOT LIMITED TO DANCING, SPECIALTY DINNERS, MUSIC/CRAFT AND MANY MORE. CALL AGENT FOR MORE INFO.